Andrew is a lawyer in Ottawa and the Attorney General Critic for the Green Party of Ontario. His law degree includes a specialization in Environmental Law with extensive training in resolving disputes. 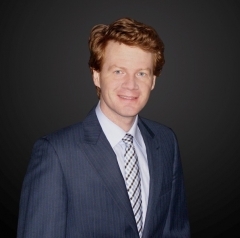 Andrew attended law school after graduating with honours from the Politics and Governance program at Ryerson University. Before returning to school to begin his second career, Andrew experienced small business first hand. He started working at a young age for his family-owned construction business (a mobile crane service). Andrew then spent over 10 years in the television industry where he worked mostly as a sole proprietor/ independent contractor. Andrew spent much of 2008 volunteering for Amnesty International. He was a Committee Chair for an annual fundraiser entitled “Taste for Justice”. Andrew was responsible for much of the planning, marketing and implementation of the restaurant campaign which raised money to help stop violence against women. Under his leadership, “Taste for Justice” gained the most media coverage and raised the most donations in the campaign’s history. Andrew has also volunteered and raised money for the Canadian National Institute for the Blind and WWF-Canada. He is currently studying to be bilingual.